Please read important shipping information below before ordering. Thank you! One of the most popular dishes of all time comes to the table healthier and more delicious than ever! 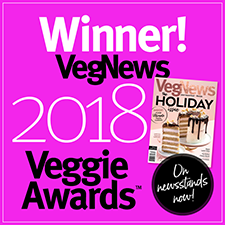 With the same moist and tender flavor of the old family favorite, Vegetarian Plus Vegan Chicken Drumsticks are delicious enough to enjoy as either an appetizer or the main entrée, baked or fried, dipped in the accompanying curry sauce or plain, shared with friends or kept all to yourself! 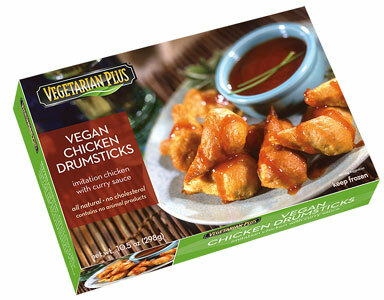 These Vegan Chicken Drumsticks are great with BBQ, sweet & sour, or bee-free honey mustard sauce, too! For a complete meal, serve with sides such as grilled corn on the cob and organic salad for a great dinner option. No matter how you enjoy them, these drumsticks will be a mouth-watering and satisfying alternative for vegans everywhere. 10.5 oz. (298g) package is $7.49. Allergens Contains soy, wheat and coconut. 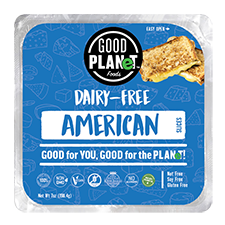 Made in a facility that also processes dairy and egg in other items.